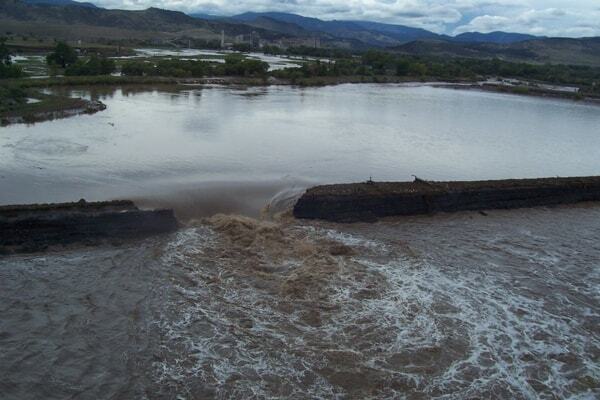 This aerial footage of West Longmont and Lyons shows the devastation of the 2013 flooding in Colorado. The District’s Lake No. 4 is included beginning at 3:30. Riding on the coattails of intense drought, the flood of September 2013 impacted the Colorado Front Range in a significant way. Two of the hardest hit areas were the St. Vrain and Left Hand watersheds in northern Boulder County. While many areas in northern Colorado were subjected to high volumes of water, the St. Vrain and Left Hand basins were deluged by immense amounts of both water and debris, resulting in millions of dollars of damage and devastation to numerous towns, agricultural lands, and open spaces along each riparian corridor. The ecosystems and hydrologies of each watershed were also heavily impacted by the flood. 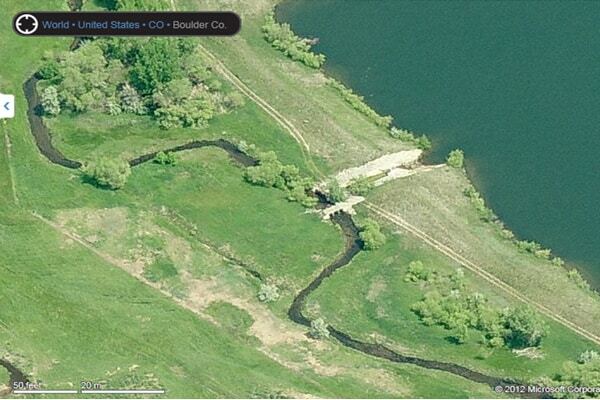 The image to the right shows one of the breached retaining walls of a District reservoir, Lake No.4, located on the South Branch of the St. Vrain. Short-term recovery efforts came from multiple directions and focused on quickly and efficiently returning the impacted areas to productive, functional, and livable conditions. Beginning in mid-2014, stakeholders in both watersheds began master planning processes to guide long-term recovery efforts in the St. Vrain and Left Hand basins, while also making the areas more resilient to future disasters. 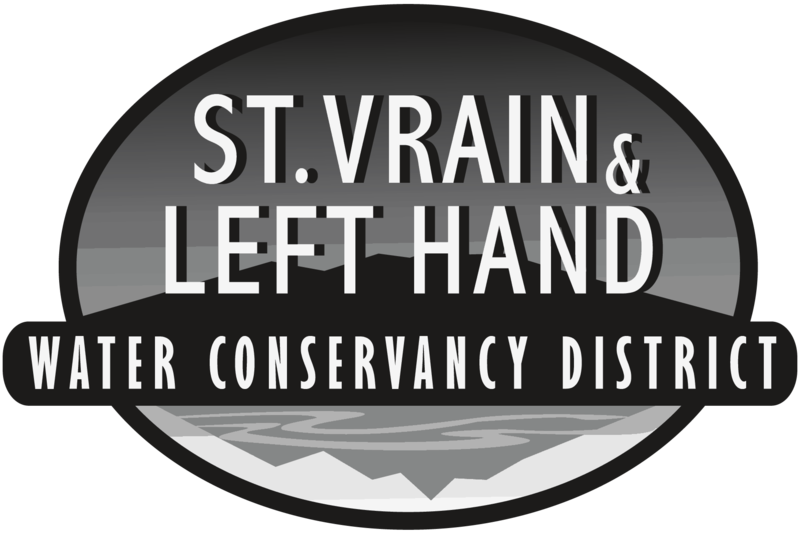 The St. Vrain and Left Hand Water Conservancy District has worked tirelessly toward recovery efforts, connecting flood victims, flood aid, and critical resources. The District has also striven to fulfill its mission of protecting and extending water rights through guidance and consultation of constituents in the St. Vrain and Left Hand basins, participation in planning and master planning coalitions, and management of a ditch and reservoir damage and recovery database (for Water District 5). One year after the 2013 Flood in Colorado, The Denver Post Examines the progress and challenges faced in the recovery efforts. Teamwork between water organizations, the agricultural sector, and environmental community are mentioned, as well as the way agencies are rethinking the status quo of stream management. Speaking to the US House of Representatives one year post-flood, then-Congressman Cory Gardner acknowledges the contribution of the District and other organizations. The St. Vrain Corridor Committee was formed in 1992 to address issues relating to stream flow in the North St. Vrain River. The Committee has representatives from Boulder County, Lyons, Longmont, Colorado Division of Wildlife, Colorado Water Conservation Board, Colorado Forest Service, Trout Unlimited and the District. The current leading issue of concern is increasing winter stream flow in the North St. Vrain between Button Rock Dam and Lyons to support recreation, fishing and tourism. 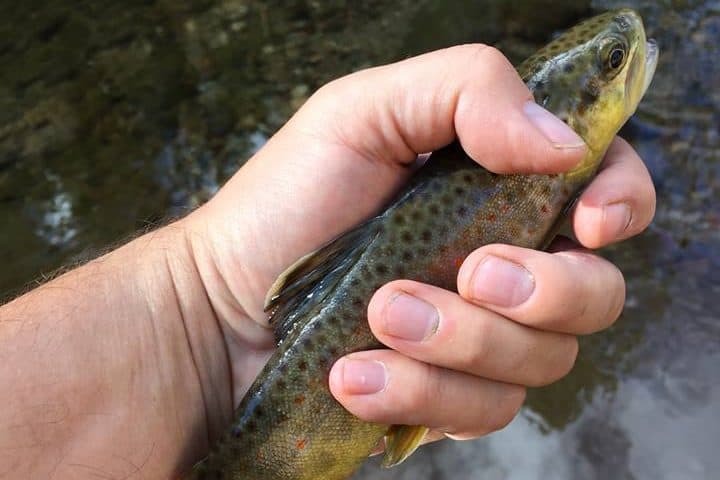 Trout are a native species in St. Vrain Creek in the reach between Lyons and Longmont, where the mountain creek makes its transition to a plains stream. A critical limiting factor for trout habitat in this reach is low winter streamflow. Ditch companies with headgates in this reach have water rights for storage that allow them to divert creek water during the winter to fill reservoirs. During periods of cold and dry weather when stream flow is diminished, these diversions for storage may dry up the creek just below their points of diversion, resulting in a streambed with stagnant pools and no flow. 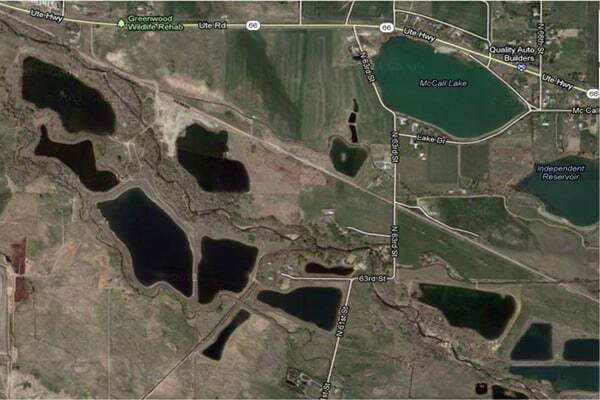 A 1992 water leasing agreement between the St. Vrain Corridor Committee and the City of Longmont provides for the City to release water from Ralph Price Reservoir in Button Rock Preserve into North St. Vrain Creek to help maintain sufficient instream flow for trout. A way was needed, however, for these small instream flows to make it past the ditch headgates without being diverted. In order to provide the precision metering and control needed to separate the instream-flow releases from the legal diversions, in 2008 the Corridor Committee, working with the City of Longmont, Boulder County, and the St. Vrain & Left Hand Water Conservancy District, installed a special flume gate at the diversion point for the Oligarchy Ditch. The goal is to install two additional flume gates at two other key diversion points for storage decrees. The result is expected to restore sufficient winter instream flow to maintain the trout fishery. In 2008 the District, City of Longmont, and Boulder County installed a special gate to regulate flows during critical low flow periods within St. Vrain Creek. The gates were installed on three diversion structures, the Rough & Ready, Oligarchy, and the Highland. The project was completed in partnership with Trout Unlimited. Unfortunately, all three Rubicon gates were heavily damaged or destroyed by the September 2013 Flood.